Though not considered a glamorous profession, plumbing is a career that is always in demand and offers steady work, along with opportunities for advancement. While many people enjoy careers within the field, those who choose to become master plumbers are considered the most highly skilled workers in the profession. 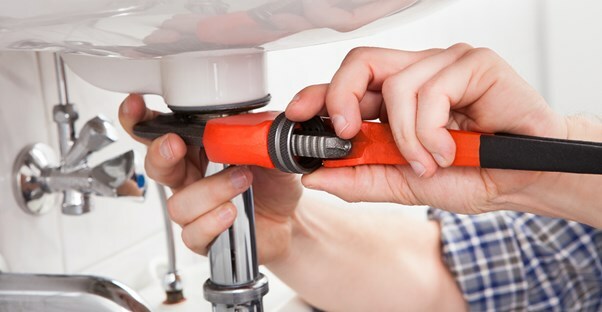 While the journey to master plumber can take several years, once achieved, the career offers numerous opportunities to work for others or to become self-employed. Becoming a master plumber involves a combination of education and experience. While you can become a plumber simply by attending trade school or completing an apprenticeship, a master plumber does all this and more. Most start their careers by taking plumbing classes in high school and then gaining an apprenticeship with a master plumber. To be eligible for an apprenticeship, you must be 18 years old and have a high school diploma. Apprenticeships can sometimes be difficult to find, so attending a trade school or community college is also an option. Classes in plumbing, blueprint reading, and drafting are taken to gain an overall knowledge of the profession. Most apprenticeships or school programs last two years, after which a test is taken to move up to journeyman plumber. Given by each state, the test focuses on having knowledge of mathematics, plumbing codes, repairs, and other aspects of the trade. Once this test is completed, the next step is becoming a master plumber. This usually requires gaining an additional 4-5 years of experience, after which you can apply to become a master plumber. Each state has its own individual test, covering local as well as federal plumbing codes, various types of plumbing systems and the many different techniques involved in the installation, maintenance, and repair of these systems. Once you achieve master plumber status, you can either work for someone else or become self-employed. If you choose to work for an employer, you can find yourself working for a plumbing company, local or state government, or with a manufacturer repairing plumbing systems throughout the facility. However, most master plumbers choose to become self-employed because of the potential to make much more money. If you choose to work for an employer, you can expect to make an average annual salary of $52,000. Yet, if you are a self-employed master plumber with several years experience, you can make as much as $90,000 per year, with some averaging a six-figure annual income. Hourly rates can also vary widely, with those employed by others averaging $25-$35 per hour, while self-employed master plumbers can make $50-$75 per hour. As more people in the plumbing profession retire, the demand for master plumbers has never been greater. Though it requires many years of training, on-the-job experience, and passing multiple tests, the job offers you the chance to work for a variety of employers or be your own boss if you so choose. With plumbing, the sky is the limit.